If you told me last year that I'd spend many countless nights staying up waiting for MAC limited edition collection launches, I would've call you a liar. But alas, I have caught the MAC bug and have two sleepless nights under my belt: one for the Alluring Aquatics Collection and one for the Kelly x Sharon Osbourne Collection. Unfortunately (or fortunately for my wallet), I really only wanted one lipstick from this collection so it wasn't too chaotic. All I really wanted was MAC Kelly Yum Yum! Kelly Yum Yum is described as "bright blue pink satin" but it's definitely more of a neon fuchsia with a slight blue undertone. I've read it's comparable to MAC's Candy Yum Yum but they're not really twins; more like sisters. 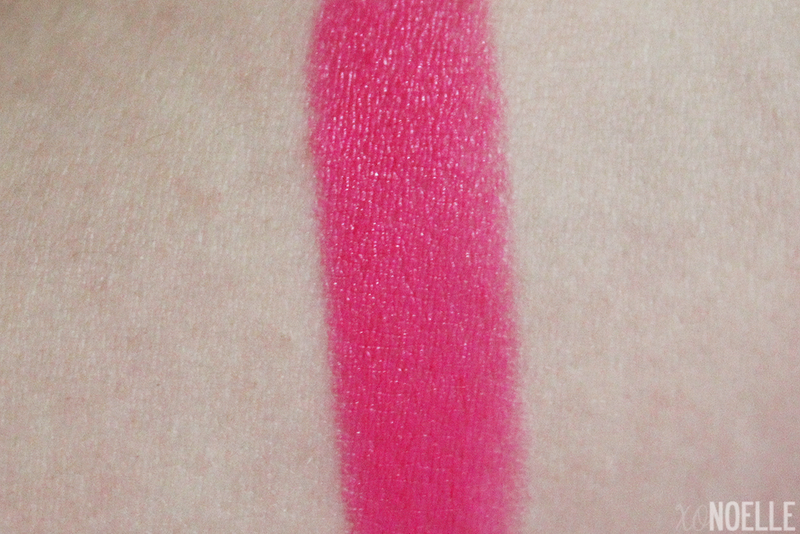 Kelly Yum Yum is a little less blue, more pink and a satin while Candy Yum Yum is a matte. The consistency of Kelly Yum Yum was smooth and really easy to apply. I was kind of worried it would bleed or feather but it didn't! In fact, I actually wore this last weekend to my sister-in-law's baby shower and was incredibly surprised to find it had not budged within the three hours there filled with talking and lots of eating. Like, no fading, no nadda. However, I did find that after about four hours, my lips felt a little dry. Overall: I'm SO happy I snagged this. I wanted Candy Yum Yum for the longest time but never bit the bullet. Then along came Kelly Yum Yum in its super adorable lilac packaging and I was sold. Full wear time was about 5-6 hours before it became a little too dry to wear. It did however pass eating, talking and drinking with flying colors and never faded or bled. This is such a pretty pink! I love bright colors. That's a great lip color! Oooh great color. I like the packaging too. I love this color. It has cute packaging too. Ooh, what a beautiful color! Totally worth staying up for! Now that's pink! It's sooo pretty! It is a totally amazing !! Totally worth staying up for. I stayed up too and was counting down also hoping that the site wouldnt crash like it did with RiRi. lol.. Great shade, love it!!! Love this shade, I just wish it was warmer. Any suggestions for something similar that is warm? this is a really pretty shade! ooh this is such a pretty and vibrant color! 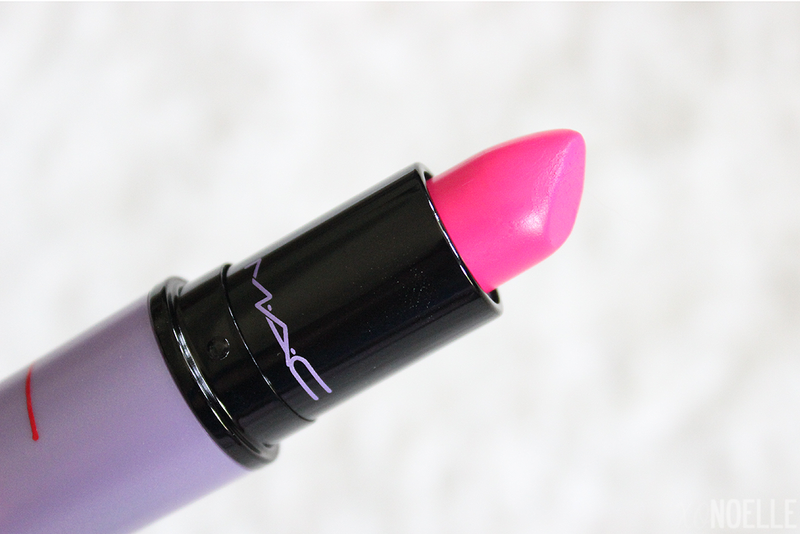 That's such a gorgeous lippy! That's so pretty! I bought my first MAC lipstick from the Lorde collex. I like them! I got this right away, of course, but haven't even pulled it out of the box. I'm really wishing I'd gotten the purple too. That pink is just so beautiful! I'd love a cruelty-free dupe. It's such a pretty shade ! Very Pretty Color on you! oh.my.gosh. 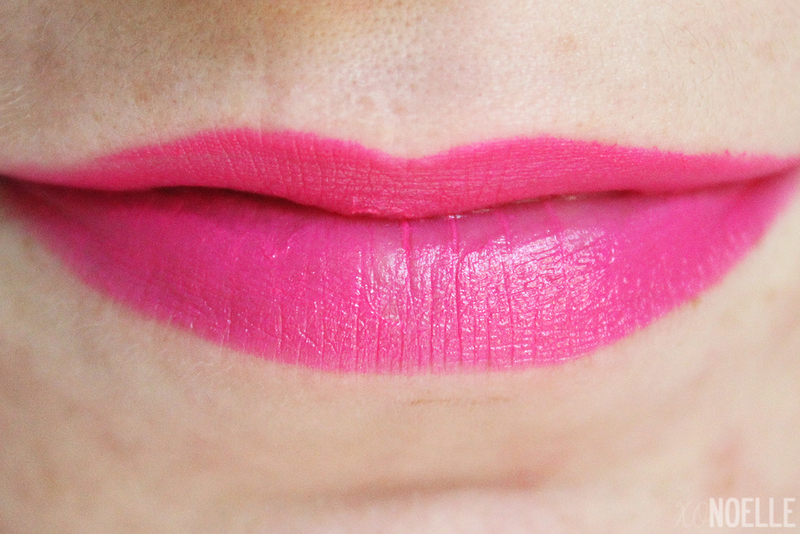 This is one of the prettiest lipstick colors I have seen. So pretty!